The flowers in your neighbour’s garden aren’t the only things blooming in the spring. When the weather begins to warm, and the snow slowly melts away, the housing market blossoms. Unsurprisingly, a lot of people aren’t willing to brave the cold weather to browse for a new home. However, as spring approaches, more people look to relocate. Spring and summer tend to be more convenient times to move, as the school year is approaching its final few months. Not to mention, there’s no fear of slipping on ice while lifting a couch. However, before you start looking for your dream home, there are a few things you should know. When the snow begins to disappear, homes for sale begin to pop up everywhere. If you’re looking for a beautiful four-bedroom home with a backyard large enough for your children to run around– chances are, you’ll see at least six listings. If you’re a DIY kind of person and want a renovation project to work on, there will be plenty of homes to choose from. While the weather is nice to browse homes in, it can be extremely overwhelming with the amount of homes on the market. Take time to think about what you really want in a home. Do you require it to be close to a school? Or, would you prefer to put some distance between you and the city? Does your family need one bathroom or three? These are all features that are important to consider and will help you narrow down the homes you want to look at. With more homes for sale, there are more people looking to buy. Spring marks the beginning of the house-buying rush, with sellers listing their homes and buyers consistently attending open house events. With the number of people looking to purchase in the spring, it’s likely that you’ll face quite a bit of competition. Don’t be surprised if a house you utterly love has several offers. It’s also going to be more difficult to negotiate the price of the home, as the seller will want the highest price possible. However, if you keep at it and stay confident, there’s a good chance it’ll be yours! Have you ever seen those commercials on television where new homeowners are faced with rather unfortunate issues? All because they didn’t use a REALTOR®? Don’t be like them. Having an experienced REALTOR® to help guide you through the process of buying a new home does wonders for your stress level. Especially during the busiest season. Not convinced? Sometimes we share little secrets of each neighbourhood to our potential buyers. Secrets like how far away from the house the café that sells the best coffee is! After all, we want to help you find your dream home. 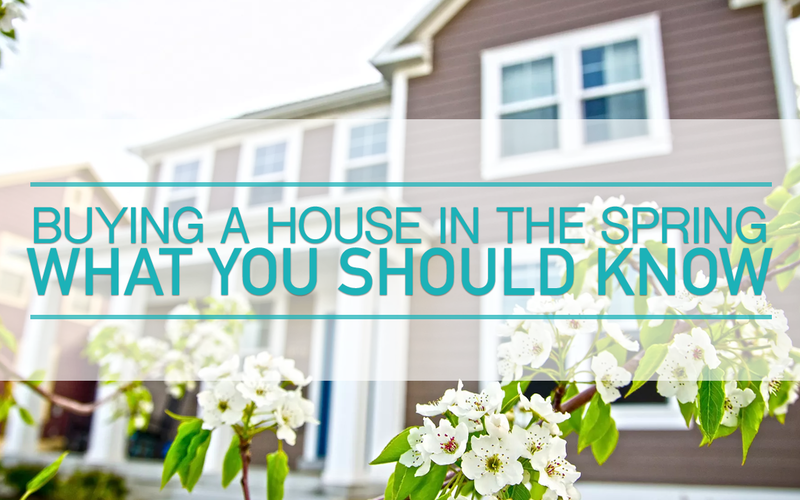 Finally, buying a home in the spring can take time. Since the buying process can happen rather quickly, you might find yourself anxious to reach that stage. However, it’s not uncommon to lose out on a home due to the seller accepting another buyer’s offer. Remain patient, and the right home will come along. Also, keep in mind that the real estate industry isn’t the only one that’s busy. Home inspectors and moving companies see an increase in requests for their services, so it may take you a little longer to move into your new home. What are your tips for navigating the busiest house-buying season? Feel free to share them with us on any of our social media accounts! And, if you have any questions, let’s chat. We’d love to hear from you!